In 1947, Japan eternally renounced war and the possession of armed forces with its new constitution. How, then, did the Japan Self-Defense Forces (JSDF) survive and, moreover, evolve over seventy years to become the prominent presence they are today? This book reviews the JSDF’s history chiefly from the viewpoint of the uniquely Japanese practice of civilian control, in which politics played only a minor role. Civilian control has long been conducted through restrictions imposed on the JSDF by civil officials of the national bureaucracy, based on lessons gleaned from the arbitrary conduct of the military in pre-World War II days. The JSDF have also been subject to financial restrictions that limit expenditures to one percent of the country’s GNP. Circumstances surrounding the JSDF have changed drastically in recent years, both domestically and internationally. They include new challenges such as post-9/11 international terrorism, North Korea’s aggressive missile-launching experiments and nuclear development, and China’s increased military presence in Asia. Another aspect is the immensely improved public perception of the JSDF due to a series of successful PKO activities and disaster relief/rescue operations. According to the author, however, by far the most important issue is that of the position of the JSDF within Japan’s state apparatus. The traditional negative civilian control, which was essentially geared to avoid using the JSDF, is now taken over by positive civilian control, which is concerned with how best to use the JSDF. To address these crucial developments surrounding the JSDF that occurred after the book’s Japanese original was published in 2006, the author wrote a completely new postscript. Thus, this English-language version is the most updated attempt at responding to overseas concerns about the JSDF’s role, either from those who fear a resurgence of Japanese militarism or from those who hope Japan will play a larger role in international security. 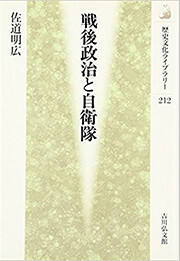 The book comes with a list of suggested readings as well as a detailed appendix that contains, among other resources, the texts and appended tables of all five National Defense Program Guidelines, the three Guidelines for Japan-U.S. Defense Cooperation, and the National Security Strategy, which are by far the most basic and important documents on Japan’s defense policies. Akihiro Sado, born in 1958, is a professor at the School of Business and Public Policies of Chukyo University, Nagoya. He has extensively studied Japan’s political and diplomatic histories, particularly its postwar security policies. 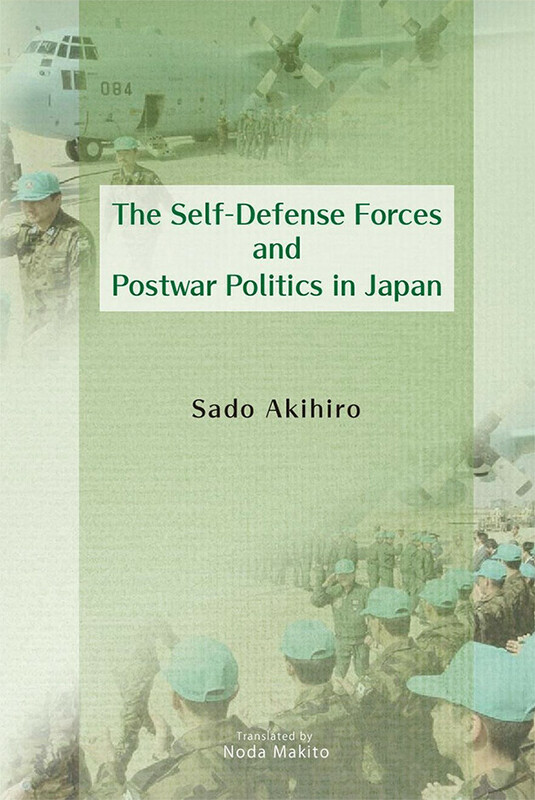 Sado has published a number of books on the history of the Japan Self-Defense Forces, including Jieitai-shi: Boei seisaku no 70-nen [History of the Japan Self-Defense Forces: seventy years of defense policy] (2015).